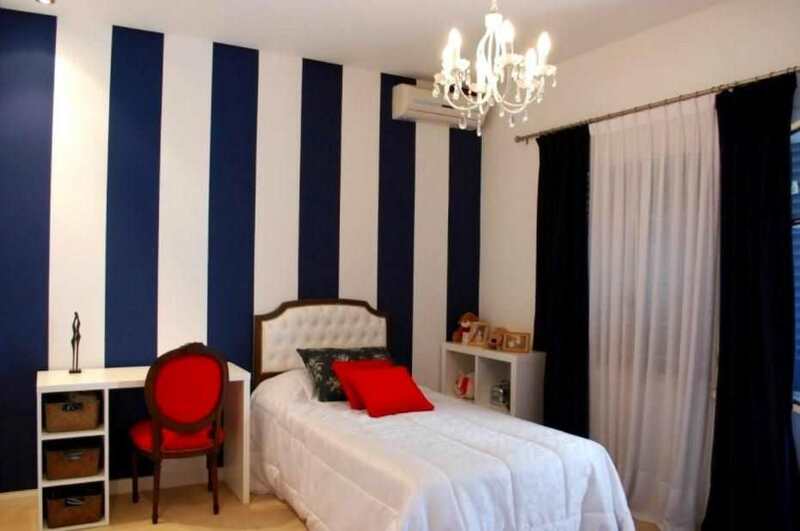 Using a laser level to paint stripes comes handy: Stripes on walls, whether along the top or spaced all up and down the wall, can be nice accents. They’ve become quite popular for nursery walls or a young child’s bedroom, as well as home offices or rec rooms. It’s a great way to liven up a space. Naturally, the while using a laser level to paint stripes, stripes must be perfectly straight, or else you’ll feel like a flawed DIYer and might end up walking around leaning in one direction for the rest of your life. No one attempts to mark off lines for stripes with a simple yard stick or some straight edge. Instead, the spirit level has been popular for decades. But, a laser level is no seen as the better way to go. If you’re into home projects enough to use laser level to paint stripes on walls, you’ll probably find other projects for which a laser would come in handy. Here’s what you need to make sure everything is level by using a laser level. A Laser level- You’re not going to want just a laser point generator. However, line levels or mid-range models will work. A more expensive and more high-end rotary laser level isn’t necessary, but great if you’re planning to do a lot of other projects in the future. 1. Have a clear vision in mind- While this may seem as though it would go without saying, it’s important to have your stripes clear in your mind, as well as possibly sketched out. In itself using the laser level to paint stripes will be of no help for that conceptualization part! You need to know the width of the stripes, how far apart they are, etc. Vertical stripes serve to make the ceiling seem higher; horizontal stripes have a more playful look, and wide ones do a great job of keeping a wall from looking plain. 2. Measure the wall- Twenty four hours after you’ve painted the base color to cover the wall, you’re ready to go. With your supplies handy and the drop cloth down, it’s time to measure. As you’ve learned from [some of our other guides] the level has to be completely stable and secured. It’s possible to mount it on the wall, which is one option. You may decide to use a tripod instead. You may be using a cross-beam level, or not. 3. Roll tape- You now create the areas where the stripe will be by taping it off. If you’re doing a horizontal stripe, you roll the tape below the laser line and above it, and of course you paint the space between. If you’re making wide stripes, you’ll need one laser line marking off the top of the stripe and another at the bottom. You can have little pencil marks guiding you as to the width of these stripes, and that is where your laser line will go. 4. Paint that stripe- Neatly paint the stripe, using either a narrow brush (a little tip, you can actually decide to measure the width of your brush and make your narrower stripes the same width so you can just make one swipe with the brush) or, for broad stripes, a roller. Be sure to gently remove the tape right after painting a particular stripe, since otherwise the tape will stick to the wall. Be very careful not to smudge the tape, since it will still be wet. The difference between having a room that’s pretty impressive and looking like you tried but didn’t quite nail it is the leveling. If ever there was a project that merits a laser level, this is it. If you’re not an experienced laser level user, try to find someone who is or at least do your best to acquire solid information and a good grounding on how to use the level.